Welcome to the unofficial Croydon Tramlink website! Croydon Tramlink is the UK's number one tramway carrying 22 million passengers a year over a 28km (18.5 mile) modern tramway system covering South London, UK. 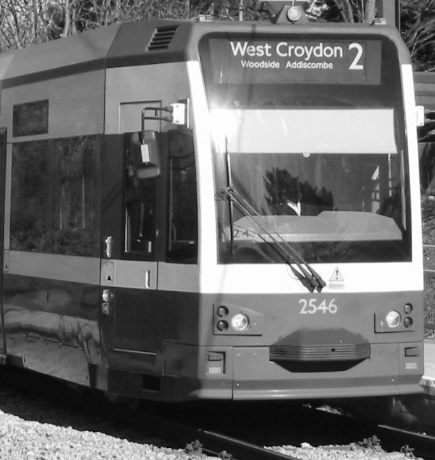 The line is largely on a east-west axis through a central loop around Croydon and provides very useful, environmentally friendly, modern public transport. Tramlink has been a huge success in getting people out of their cars and has proved very popular. It is the most reliable public transport service in the UK. This is a new kind of public transport showing what can be done if a little money and effort is put into a forward thinking vision of public transport. Latest research shows that Tramlink has already achieved its objectives, removing FOUR million car journeys a year from London's congested roads. On this site, you should be able to find almost everything you want to know about Tramlink. It is aimed at both users of the system and tram enthusiasts, as well as informing people about the history of the routes, photos and detailed route maps. Detailed route maps and a large photo gallery shows every part of the route. You must remember that this is NOT the official web site of Croydon Tramlink - click here for that. I am an enthusiast and I do not work for Tramlink. I hope you find the site both interesting and useful. Please email me with your comments, updates and sightings. This website is a personal website produced by myself, Stephen Parascandolo, a tramway enthusiast. I do not work, and never have worked for any company directly involved in the tramway's construction, or those involved in the operation, maintenance and management of Croydon Tramlink. Any communication intended for Croydon Tramlink, or any company or organization should be addressed directly to them. For the Official Website, please visit http://www.tfl.gov.uk/trams. This website is my personal website, produced as a hobby and by me as an individual. Any views, or opinions expressed within this website are my own, and not those of my employer, or any other individual, company, or organization unless explicitly stated otherwise.